When we have tiny kitchens, we often focus on the negative rather than the positive. 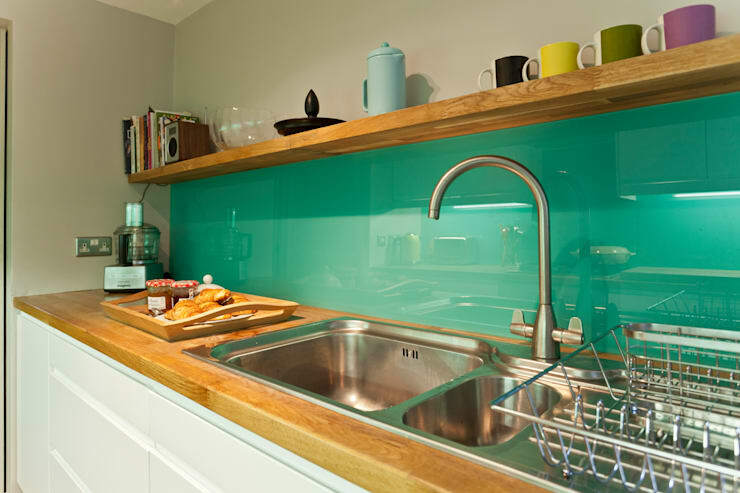 So today at homify, we will show you five projects that will amaze with the use of space within the kitchen. These ideas refuse the limitation of space as a limitation on style, and takes the best aspects of each area as focal point. The main goal of these designs is to create fully functional and practical spaces, without losing sight of the aesthetic aspect in the decoration and configuration. We will see several tips to make the most of the dimensions we have at our disposal, using smart furniture, appliances and other tricks. Let us begin! 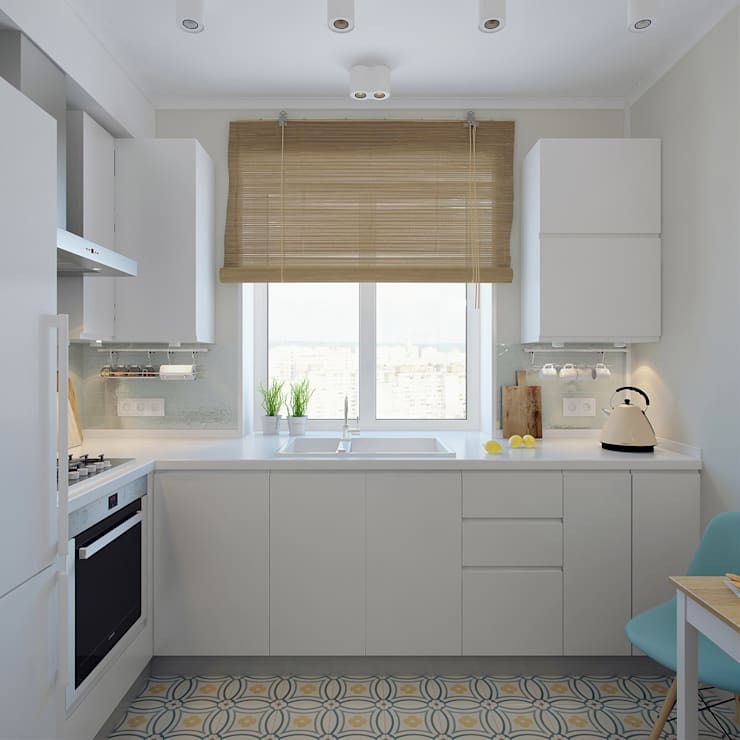 When we are to design or build our kitchen, we need only to consider what is strictly necessary for the functioning, maintenance and aesthetic value of the space. When it comes to tiny kitchens, it is time to go back to the basics. Keeping in mind utility and pragmatism when designing this important room in the home, which should be intrinsically aesthetic, will go hand in hand with the order and comfort necessary when preparing food. Think about the types of dishes you make every day in your kitchen. You will be able to narrow down your set of necessary equipment and appliances to a handful of essentials. Stick to these, and leave special accessories to be acquired (bought or borrowed) only for special occasions, when they arise. Tables can be very practical and useful to equip our kitchen. Thanks to its multiple uses (for preparing food, displaying decor elements, doing homework, etc. 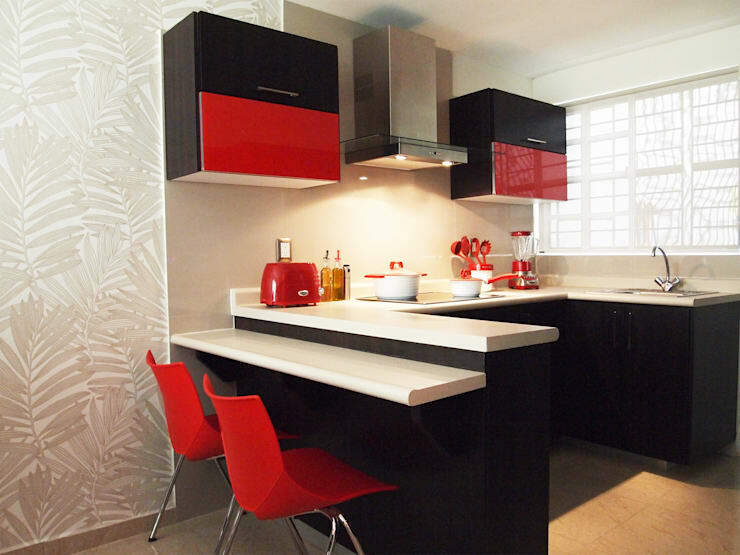 ), it is a piece of furniture we should not miss when designing our kitchen. If we choose a table suitable to our kitchen space dimensions, we will have an excellent place to enjoy food as well as to prepare it! 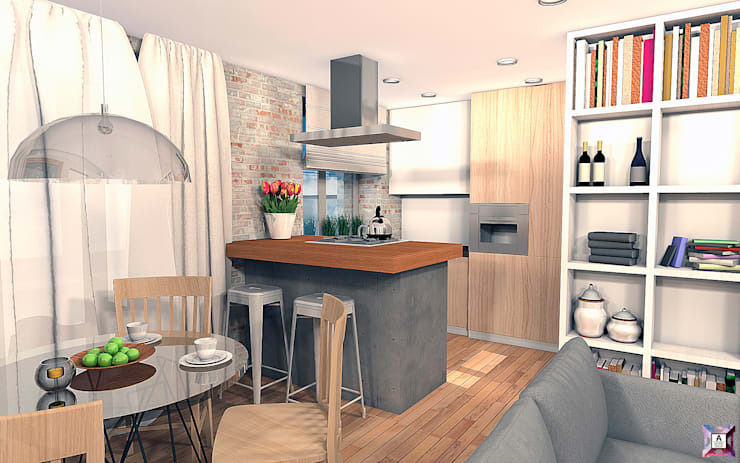 The placement of the table will also be of great importance, especially in a small kitchen. Rather move it up to the walls to free up more moving space, as opposed to having a table in the centre with less space on all sides. As we have seen in other ideabooks, colour plays a very important role in the spatial perception of the rooms in a house. 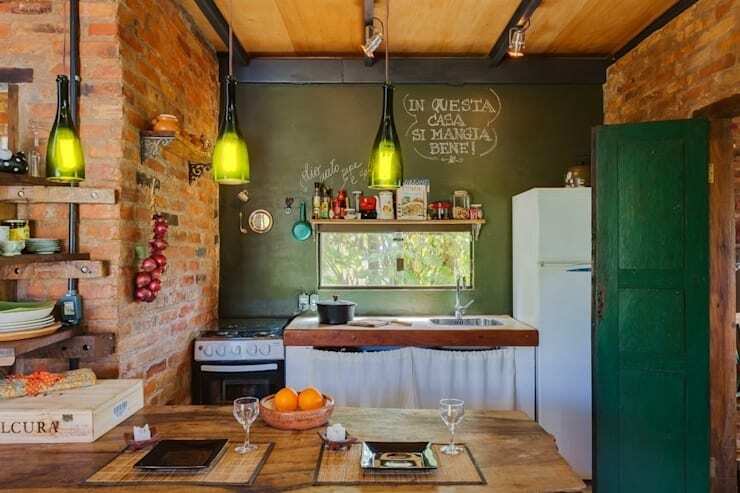 The kitchen is no exception, and the use of bright colours will make spaces, although they are limited, feel like they are bigger, thanks to the reflection of natural light, making everything feel like it has larger dimensions. White, of course, is the greatest reflector of light, and will always be the optimum choice. Other neutral and bright colours can also be effective. It’s up to personal taste, really. We often forget the corners and they remain poorly exploited, since we often times think that the use of many elements or furniture can reduce space. 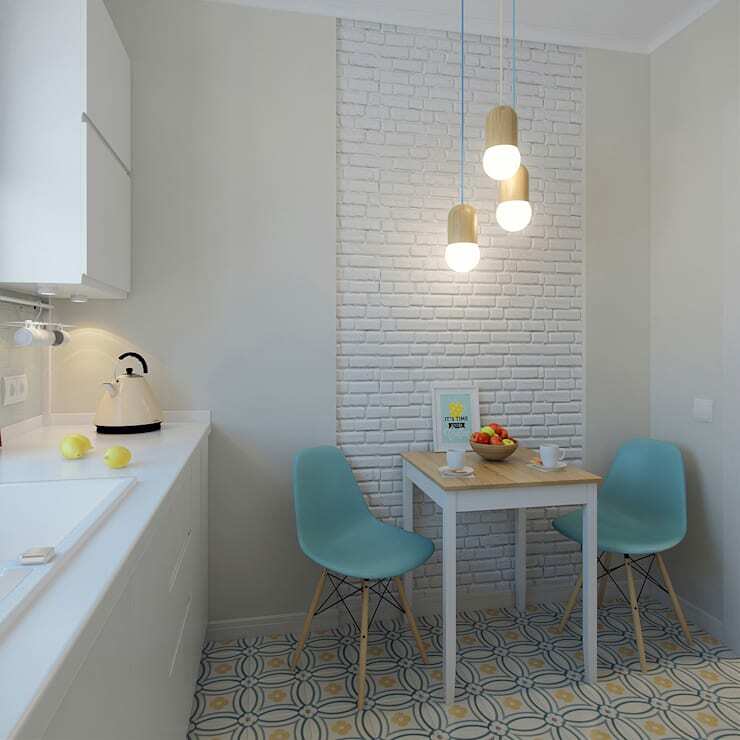 This is a logical conclusion, but if we locate the furniture well, we can make better use of the area, as shown to us here by Ekaterina Design, who created a beautiful spot where one can enjoy a rich breakfast every morning in this beautiful and petite kitchen . Using a minimalist design within a small space will always result in visual order and cleanliness, which will create a broader perception of space, however small it may be. Natural light is used more when avoiding unnecessary items in a small space. It leads us to perceive a greater sense of lightness and clarity. The timely location of all the decorative and utility elements of our kitchen is essential and fundamental to enjoy the room in all aspects. By creating a specific place for each object, spaces that we can use to decorate and give a personal touch to in our home will be created. In this example, courtesy of Ferraro Habitat, we note that the location of the vessels not only have a practical function but is also decorative. Usually, when we have a small kitchen, chances are, the rest of our house is also quite small! So, here is another ideabook you might enjoy on how to optimise storage space in a small home! We'd love to hear what you thought about this article. Do you have any tips for small kitchens? Let us know in the comments!